Have you ever wondered when’s the best time to have kids, from a financial perspective? 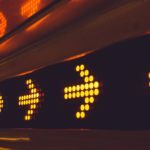 My friends at iMoney recently wrote an extremely thorough article about this — taking into account cost of living, education, and retirement. And they’ve been kind enough to let me republish it. Here’s what to consider, when you’re thinking of having kids. More and more couples are postponing having kids as they try to balance their careers and other life goals with their desire to have kids. Having children isn’t just an emotional decision, it is also a financial one. A staggering half a million! It really takes precise planning before you decide to have a child. Ask yourself and your partner these questions: How old should you have your first child for it to be financially easier? Will you and your spouse’s age make a difference? iMoney interviewed two couples who had their first child at different stages of their lives to find out how their age (and the corresponding financial state) impacts these major expense areas – child care, medical, tertiary education costs and retirement. Couple A – Akmar and Shila started their parenthood early, while still saddled with student and car loans. To save on day care expenses, they currently live with Akmar’s parents, but are saving to buy a house by next year. Although they spend nearly all of their salary and have very little left to save every month, they wouldn’t change a thing — because they are confident they can make their budget work with a child. Couple B – Dominic Ng and Jacklyn Soo waited to have their first child after fulfilling three goals they set for themselves – a bank balance of RM 50,000, a house of their own and Soo wanted to complete her Master’s degree in England. Now, they’ve paid off their car loans and are currently paying off their house loan. Both couples invest a significant portion of their salaries towards saving for their child’s tertiary education and their retirement. Which family fares better financially? Does it make sense to have a baby in your 20s, so you can tackle child-related costs earlier on? Or when you’re in your 30s and more financially stable? Delivering a baby isn’t cheap especially if you opt for a C-section in a private hospital. For Akmar and Shila, they had a natural birth and spent around RM 5,000 for delivery and hospitalization. They enjoy free child care as Akmar’s parents tend to their daughter while both of them work. Due to age complications, Couple B had to opt for a C-section and it cost them approximately RM 15,000. There’s no guarantee that a younger lady will always give birth naturally, but the likelihood of a Cesarean is lower. As the couple lives on their own, Ng and Soo have to leave their son at a day care center, which costs around RM 1,500 a month. 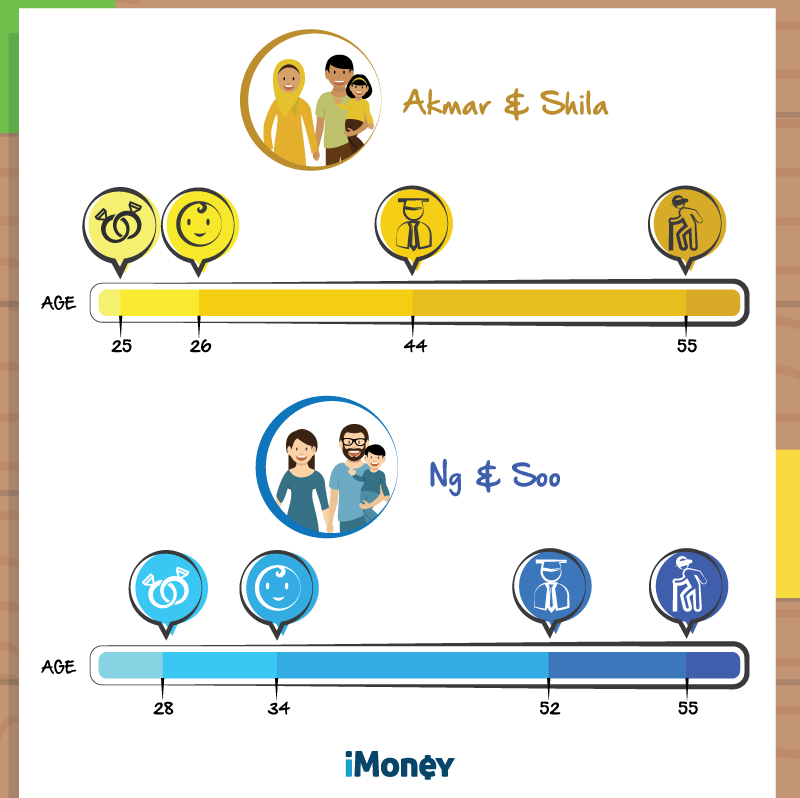 Though Ng and Soo spend more for their child, at this stage in their life they are financially ahead of Akmar and Shila. This makes it easier to fit the higher cost into their budget. Child care costs can take up a huge portion of your budget. 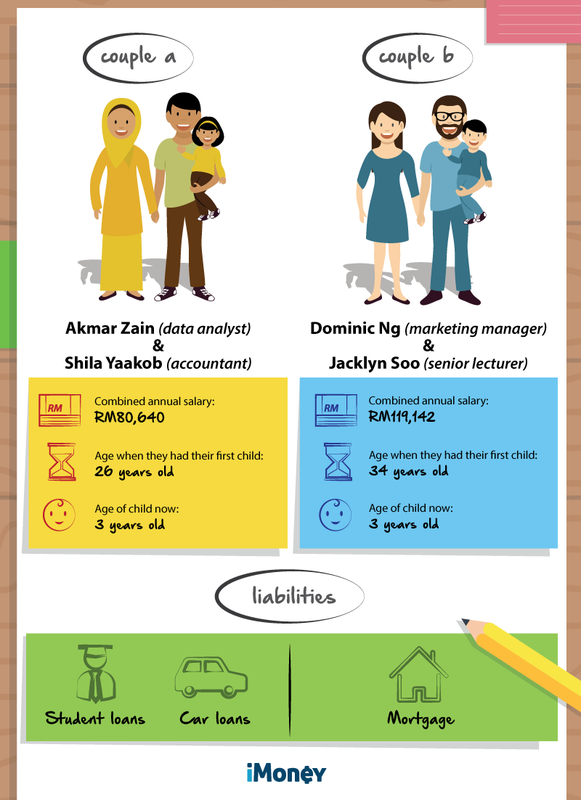 Couple A have it easier with the help of his parents, but Ng and his spouse are better off financially (RM 38,502 more annually than Akmar and Shila) to cover child care costs too. Having a higher salary at the time of child birth could mean that Ng and Soo have extra to provide better for their child, without hurting too much of their own priorities. Childcare expenses for the child’s first six years will be the highest; and as the child grows — the expenses drop — then increase again when the child goes to university. The income of both couples are made to be identical, i.e. Akmar & Shila’s salaries will match Ng & Soo’s when they reach 34. The rate of income growth has also been fixed. At the age of 26, both these couple had a basic cost of living of RM 2,000 and experience a cost of living inflation of 5% annually. Both these couples have loan commitments of car and house and do not upgrade to a bigger house or car in their lifetime. Expenses include child expenses, loans and living expenses. Both couples only have one child. While both couples do not have a problem taking care of their child financially, we can see which couple fares better. Based on the tables above, it’s clear that Couple B, Ng and Soo have the upper hand in their finances as they have checked a lot of financial goals off their list before the arrival of their bundle of joy. Since they have a significantly larger balance in the first six years, they are able to allocate more money towards both their retirement and the child’s education from day one. This is even though they spend (RM 527,629) more due to child care cost. This pattern remains till the final stage when Akmar and Shila have begun to peak in their careers and are able to afford more. Although it’s rarely practiced, couples should start saving for their child’s university education needs even before having a child. Both Couple A and B invested in a child education plan with the arrival of their bundle of joy as they recognize the importance of education and foresee that tertiary education will be much more expensive in the future. For Akmar and Shila, they don’t want their child to graduate with student debt like they did. Both sets of parents have approximately 18 years to plan for their child’s college fund. Akmar and Shila are tighter on cash flow and live more on survival mode from one month to another. Hence, they started out with a smaller amount of RM 5,000 while Couple B started out with RM 10,000. As both these couples move up the career ladder, they would definitely be able to contribute more towards their child’s education plan. On average, the rate of annual salary increase in Malaysia is approximately 5%. In this scenario, though both couples started out with different amounts, we expect them to contribute RM 6,000 to the education fund every year thereafter, plus a 3% increment in the contribution every year. Average rate of return 6% p.a. 6% p.a. Though Ng and Soo seem to be doing better with their child tertiary education savings, they will have no room for mistakes or procrastination as they would be contributing all the way to age 52. They would need to have everything well planned and use every opportunity to their benefit. A local Bachelor of Science at Monash University Malaysia cost about RM124,000 in 2015. In 18 years’, this would have risen to approximately RM 298,420. Both parents will likely be able to save enough to afford sending their child to a local university. If they prefer overseas tertiary education, they would need to save way more than RM 6,000 a month. When it comes to your nest egg savings for retirement, the real key is to start socking away money as early as possible. However, most parents make the mistake of using their retirement fund for things like buying a home or sending their child overseas. Both these couples kick-started their retirement savings at 30. Akmar and Shila’s initial investment was RM 5,000, while Ng and Soo channeled RM 50,000 savings into their retirement fund. Akmar and Shila started low by investing a meager RM 2,156 (this figure is derived from the balance of their income after factoring in all costs like education and living plus discretionary spend) annually. This is because they’re still in the prime time where childcare costs take up most of their budget, causing retirement planning to slip down the priority list. Their budget is tighter as they have other financial obligations such as car loan, student debt, and saving for house down payment. On the other hand, Ng and Soo started high by investing RM 18,682 annually. This is because at 30, they did not have their child yet and it made sense to channel their savings for retirement. Their budget is less tight as they have fewer financial obligations. 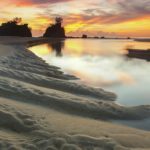 In order to be able to retire comfortably, both these couples would require RM 3,277,284 (based on their last drawn salary of RM 20,690 and estimated life span of 20 years post-employment). Since both these couples have similar salary projections, their EPF savings at 55 would be around RM 1,149,496 (based on total EPF contributions of 23%). The balance of RM 2,127,788 must come from their retirement savings. Both these couples plan to increase their investment contributions in stages as their incomes increase, in-line with reduction in childcare costs. For now, they are investing in higher risk investments as they are still young and are able to stomach higher risk. As they are tighter financially, Akmar and Shila have put retirement planning in the back seat and will only go full-throttle when their daughter graduates from university, at the age of 44. This would leave them with 11 years to invest significantly more of their income and be aggressive towards their retirement. They could beef up their contributions from 45 onwards by opting for more aggressive investments. Starting from 51 years old, they are still able to contribute significantly but they would need to be more conservative when investing. This may not be the situation for Ng and Soo as they would be 52 when their child finally goes to university. They would have only approximately four years to accumulate their retirement savings. However, in their 50s, they would need to move to a less aggressive portfolio as they have less years to make up for any investment losses. By having their child in their 20s, Akmar and Shila have an increasing balance that they can use for investing in child education or retirement. And as their daughter becomes partially independent at 18, they would still have a solid 12 years to fully concentrate on retirement savings. As for Ng and Soo, they would be in their 50s when their son enters university. If they choose to make contributions to their child post-graduation, then it would be from their savings as they would no longer have any source of income; or they’d be forced to continue working past retirement age. The pressure felt by Akmar and Shila in their early years is definitely greater than Ng and Soo. We can see that they would have to sacrifice more just to stay afloat. Their investment plans for retirement and education funds also differ since they would only be able to contribute significantly later. 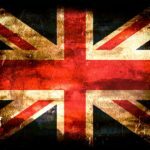 However, their long game is better since they’d be at the peaks of their careers when their child graduates and as such will have a significantly easier time in their mid-40s onwards. For Ng and Soo, it’s easier for them financially throughout — since they are financially stronger from the start of their child’s life and do not have to sacrifice much comfort or investments. However, they would also have a more difficult time later in life — since they would be approaching retirement while still supporting their son, and won’t have the same leeway with their finances (like Akmar and Shila). Based on their retirement savings plan projection, Akmar and Shila would end up with RM 2,580,801 when they retire at 55. And Ng and Soo would have RM 2,714,859 – which is only RM 134,058 higher than Akmar and Shila. Adding up their EPF and retirement savings, both these couples would be able to retire comfortably. We emphasize on retirement here — so that you don’t need to rely on your children in your golden years. This is an important but often overlooked part of planning for children. There is no right time or way to have your child but this should give you a rough indication of what challenges you and your spouse may face when planning your family; and how your retirement works into the whole picture. Does your experience mirror this? Let us know in the comments below! You have great articles here. Really appreciate your writing and seriously, more people should start reading what you have to say here. Great job! Just a suggestion if you are keen to explore on this. Some parents these days are sending their kids for private education from secondary school onwards. Some richer ones even started right from primary. We all know that education in private school (international syllabus) are very costly (average fees at 25k onwards yearly depending on school). I have ponder for many days/nights about sending my eldest child to private secondary school. Easiest way to do that is to liquidate one of my property and fund her secondary education, and we are not even touching on tertiary education yet. Thanks for writing in and being so generous with your praise. Totally understand the concern about private education. I’m no parent myself but I hear it a lot. 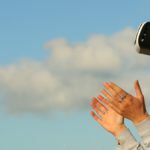 Perhaps these articles by my friends at iMoney would be helpful? That is very impressive on your sharing as you have no kid yet. In my case, I thought I want to set my goal first – house, car, saving. 27k we bought motorbike cash as we want to cut cost on transportation. Sold old wira for 9k. My husband working in Rawang while our house in Seri Kembangan. Bought second house. 30k for our second house (everything, lawyer, renovation). We also paying first house which still under construction that time. We are ready to have baby by 2015. Few weeks later in 2013 I got pregnant. Accidentally!!. Who knows having baby is actually cost more that that. Where I need extra 10k for delivery and preparation for baby. (my hospital bill is on my own). And 500 monthly for check up. Im having complication during pregnancy. I spend a lot for hospital bills. Both our salary combine 10k but its not enough. Minus income tax and epf around 8.8k. 1500 (child care, diapers and milk) (Suppose to be our saving) My baby is hi allergic (terrible eczema), so I spend a lot on good diapers and milk and his toiletries. – 250 sometime we go back kampung if no urgent things like car brokedown. So we’ve end up with no saving for 3 years. Now my baby going to be 2 years old. Things getting better, Salary increased. Both of us got promoted. My sister already graduated and helping my parents too. I just bought car that cost 1200 monthly. We still have 2000 extra. And thats for my child education. I just start saving last Dec 2015 right after house 1 being rented out. Do I want second child? Not for now. Saving is a must! Planning is very important. My child is god bless. God planning is the best. Through out 3 years struggling and enduring the hardship make our love stronger and us as better person. There is a time when my husband skipping lunch just to make sure I’ve ate my lunch and my son healthy. I wont change anything if I can turn back time. This just bittersweet of life. There is no right to have a baby but you must have a planning in order to provide them better life. Appreciate it! And I’m sure my other readers will find it helpful. Inspiring to hear that even in difficult times, you pulled through together as a family. And thank you for saying we should always plan financially – to provide our family a better life.